There will be lane closures April 10 through April 12 on North Riverview Street between 7 a.m. – 4:30 p.m. Two-way traffic will be maintained. 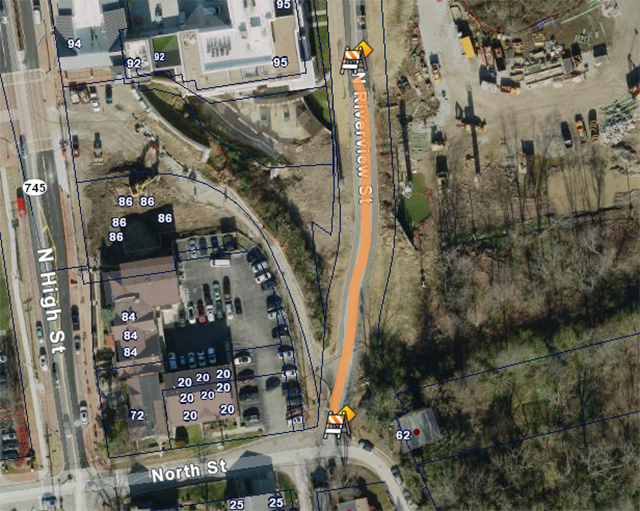 Beginning Monday, April 15, through April 16, North Riverview Street will be closed between North Street and the north side of the pedestrian/bicycle bridge. Drivers may use North High Street to access North Riverview Street at the northern intersection. This closure will be in effect from 7 a.m. April 15 through 4:30 p.m. on April 16.